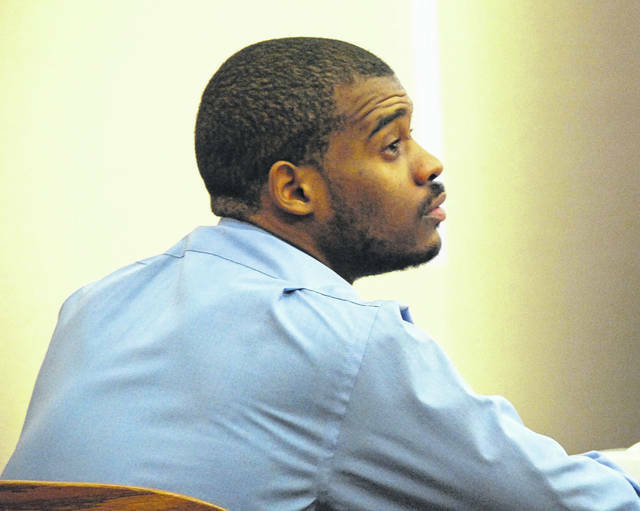 Jurors heard opening-day testimony Monday in the trial of Jarvis Killingsworth, 22, of Chicago, who is charged with robbery and two counts of kidnapping for allegedly robbing a Lima apartment manager and his wife at gunpoint earlier this year. 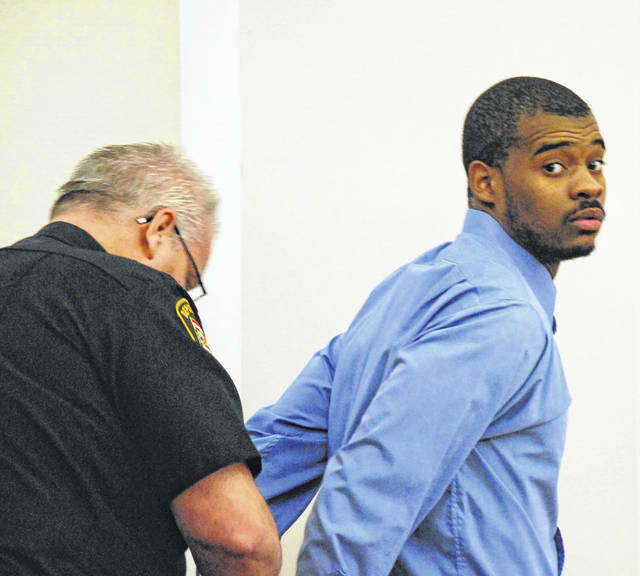 Jarvis Killingsworth leaves an Allen County courtroom in handcuffs during a break in his jury trial Monday. 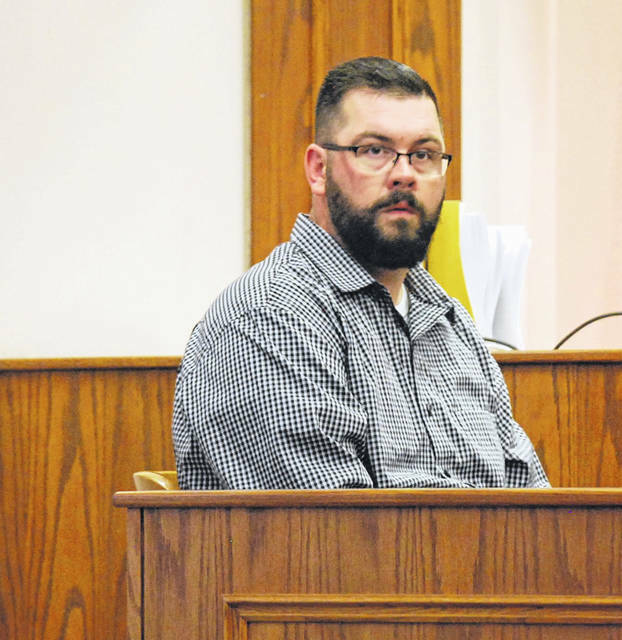 Daniel Kelley, the manager of a Lima apartment complex who was robbed at gunpoint in January of this year, was the state’s first witness Monday in the jury trial of Jarvis Killingsworth. The Chicago man is charged with robbery and two counts of kidnapping. LIMA — A jury trial got underway Monday in Allen County Common Pleas Court for a 22-year-old man who police say robbed the landlord of a Lima apartment complex and his wife at gunpoint earlier this year. A jury of 10 women and two men was seated Monday morning to hear the case of Jarvis Killingsworth, whose address is listed in court documents as Chicago. Killingsworth is alleged to have robbed Daniel Kelley and his wife, Jessica, on a frigid January morning as the pair were shoveling snow from the parking lot of the apartment complex. Assistant Allen County Prosecuting Attorney Tony Miller told jurors the case is “fairly straightforward.” He said evidence will prove Killingsworth approached Daniel Kelley on the morning of Jan. 20 and demanded — at gunpoint — that the man turn over his wallet and cell phone. Jessica Kelley, who came around the corner of the apartment and found the armed robbery in progress, was also threatened, the prosecutor said. “After Mrs. Kelley came around the corner, the defendant put his gun on her and said, ‘Don’t move, or I’ll kill you both,’” Miller told jurors. The weapon involved was later found to be a BB or pellet gun. While the robbery was in progress, a sheriff’s deputy cruiser pulled through an adjacent alley, causing the suspect to flee, Miller said. Officers trailed the suspect and saw him enter a residence at 131 S. Rosedale Ave. Shortly later, a man subsequently identified as Killingsworth jumped from a second-story window and was taken into custody without incident. Officers found Kelley’s wallet in the suspect’s pocket. The suspect also told police where the gun was located, according to court documents. Miller called Daniel Kelley to the witness stand Monday morning as the state’s first witness. Kelley confirmed to jurors that Killingsworth was the individual who robbed and threatened the couple. Defense attorney Carroll Creighton, who deferred his opening statement to jurors, asked only one question of Kelley: Was the person who robbed him at gunpoint on that frigid January morning wearing a mask? Kelley confirmed his assailant wore a black face-covering, similar to a ski mask. “No further questions,” Creighton said. Killingsworth was indicted by a grand jury in March on a single count of robbery, a second-degree felony. The indictment was amended earlier this month to include two counts of kidnapping, second-degree felonies.